We are honored to share with you insights concerning Episcopal order along with resources that will enhance your experience with authentic church and orthodoxy. The Apostle Primus Interas Pares, The Most Reverend Robbie C. Peters is certainly one of the founding fathers in this generation. His sincere passion for order and the integrity of the Lord’s Church is the motivation behind his efforts to train those who enter the office of the Apostoleship, Bishopric or any leadership governing Office within the Body of Christ. 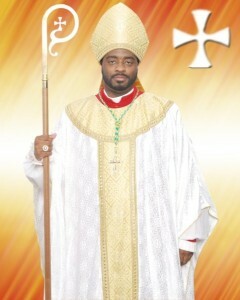 The Kingdom Empowerment International Covenant Fellowship of Churches where he serves as Primate along with the Elijah II Elisha Apostolic Covering is uniquely designed to aid leaders and reformations in enhancing, establishing or enhancing Episcopal integrity. 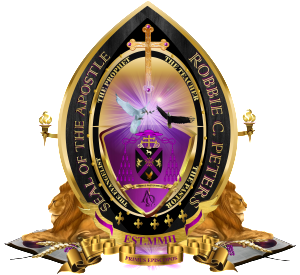 Apostle Robbie C. Peters has been consistently used by God to consecrate many Bishops and affirmed many Apostles, providing them with authentic apostolic succession! He is one of the “not many fathers”, (as the scripture speaks of) and his ministry travels has allowed him to “beget” many sons and daughters in the Lord! Feel free to contact us with your comments, questions and observations as it relates to Episcopal Order!